Observation - Moss - UK and Ireland. Description: Neither garden or park but on a ledge on a neglected building built right against the pavement. Between half an inch and an inch high. Is moss a plant or should it be in with lichens? Neither garden or park but on a ledge on a neglected building built right against the pavement. Between half an inch and an inch high. 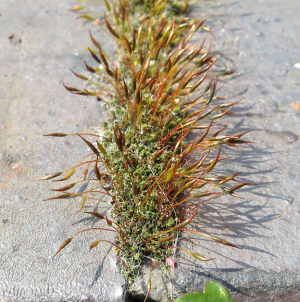 Is moss a plant or should it be in with lichens?